Known as the "Bourbon Capital of the World", historic Bardstown has long been a cradle for America's native spirit. Note: this suggested itinerary assumes Louisville as your starting point, taking you first through Shepherdsville for the Jim Beam tour which is 25 minutes from downtown Louisville. Then Bardstown will be another 20 minutes from Shepherdsville. Kurtz Restaurant – serving Southern meals like skillet fried chicken, biscuit bourbon pudding and classic cocktails since 1937 right across from My Old Kentucky Home. Old Talbott Tavern – the oldest western stagecoach stop in America with many bourbon barons as former owners since the late 1700’s. 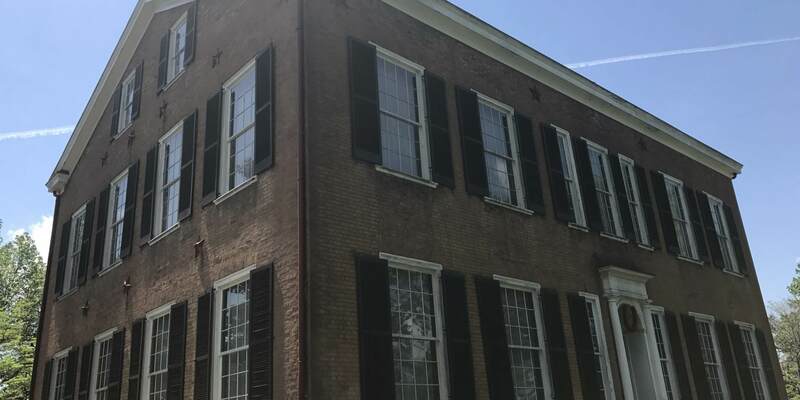 OPTION: You could also save the 1-hour round trip to Maker’s and have more time downtown if you want to tour Willett Distillery (a larger craft distiller) or Barton’s 1792 (a more vintage industrial-type tour than the others). Both are in Bardstown and the tours are roughly 1 hour each. Named the Most Beautiful Small Town in America by Rand McNally, Bardstown’s picture-perfect downtown streets teeming with boutiques and eateries is one of the reasons. Tip: Kentucky Bourbon Marketplace or Kentucky Bourbon House for a bourbon tasting. 5 pm: So many options here. Cocktails, a Dinner Train, Overnight or back to Louisville. My Old Kentucky Dinner Train – Dine in a vintage railroad car serving up American meals during a scenic rail journey in the Kentucky countryside lasting several hours. Happy Hour or Dinner in Bardstown – If you didn’t have lunch at the Old Talbott Tavern, this is a great spot for a cocktail. Other drink and dinner options are the new American fare and served in the Colonial tavern of the Harrison-Smith House or Rickhouse. Steaks and a large bourbon list feature at the subterranean, brick-walled eatery in the basement of a historic school. Stay the night: Tuck into one of Bardstown’s charming B and B’s like the Bourbon Manor and spend an extra day in the Bourbon Capital. 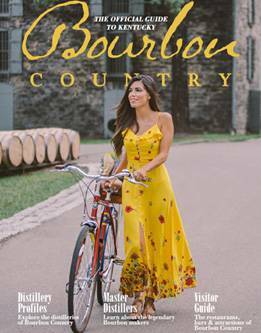 There are six distilleries are located in or near Bardstown: Barton 1792, Willett Distillery, Heaven Hill, Maker's Mark, Jim Beam, and Four Roses/Cox Creek. Lock and load for a selfie at the prison stocks in the Old County Jail (now Jailer's Inn B&B). Tour one of the world's most recognizable homes - Federal Hill, also known as My Old Kentucky Home - immortalized by composer Stephen Foster, and watch the Broadway-style musical, "The Stephen Foster Story."